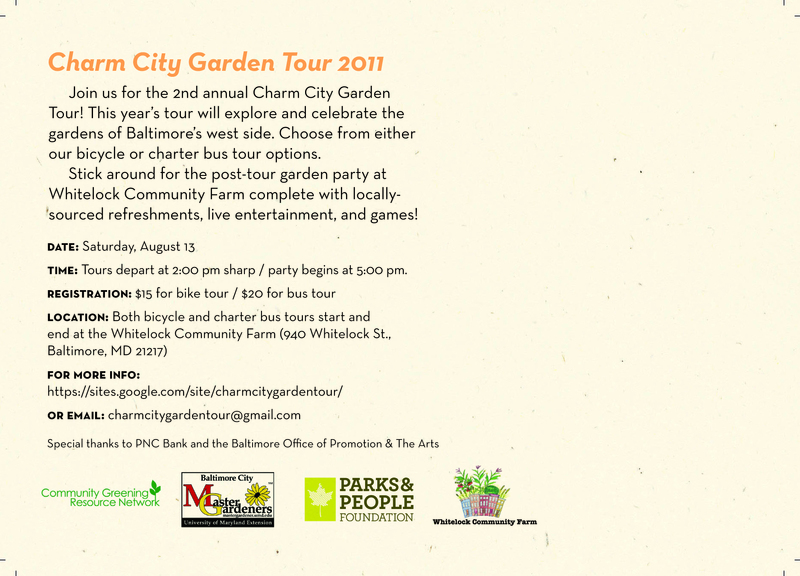 We’re very excited to announce that the 2011 Charm City Garden Tour will be hosted on Whitelock this year! 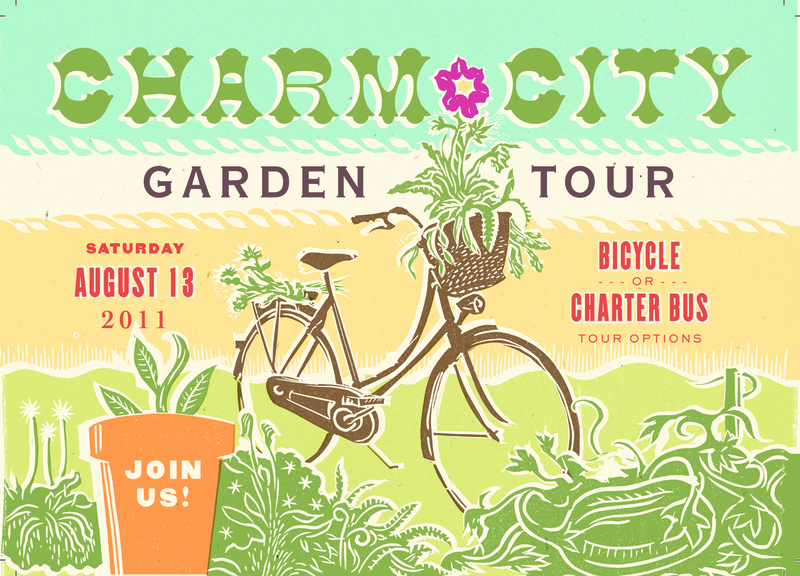 Groups will go out by bike and bus to visit a selection of Westside community gardens, and then everyone will return to a party with food and activities open to the entire community. If you’re interested in learning about how to help us prepare for the Tour, please contact Teddy Krolik at tkrolik@reservoirhill.net.